What can a Million Interacting Quantum Particles Do? Your contributions will help Dr. Weld's lab build and maintain two ultracold atom machines which cost about one million dollars each and $100K per machine per year to maintain. The lab is also seeking funding on the order of $500K for a "quantum gas microscope" which would allow manipulation and readout of samples at the single-atom level. Finally, funding is always being sought to enable talented postdoctoral researchers, graduate students, and undergraduates to join the Weld lab research team. Dr. David Weld at the University of California, Santa Barbara will tell you that his group's work on exotic quantum matter is truly basic research, but the ultimate goal of this research is to lay the groundwork for future technologies that will change the world. Quantum mechanics is well-understood at the level of single particles like electrons. For groups of as little as a few dozen interacting particles, however, our exact theoretical understanding completely breaks down. Since a few grams of any material contain more electrons than there are stars in the universe, this "quantum many-body problem" is the main barrier to progress in understanding the behavior of complex electronic solids. Dr. Weld's lab aims to revolutionize our understanding of quantum materials using an experimental technique called "quantum simulation". The basic idea is to use ultracold atoms to build tunable quantum systems with which to mimic the behavior of exotic materials. The overarching goal is a better understanding of quantum matter, which may open the door to a wide variety of future quantum technologies with transformative energy applications. Specific examples include next-generation thermoelectrics, non-thermalizable states of matter, and high-temperature superconductors. How do we control materials processes at the level of electrons? How do we design and perfect atom- and energy-efficient synthesis of revolutionary new forms of matter with tailored properties? How do remarkable properties of matter emerge from complex correlations of the atomic or electronic constituents and how can we control these properties? How do we characterize and control matter away - especially very far away - from equilibrium? Currently, the group is building two large machines to produce quantum degenerate lithium and strontium. When they are running, these machines are among the coldest places in the universe, so the samples are deeply in the quantum regime. Control and readout techniques based on atomic spectroscopy allow the lab to simulate poorly-understood quantum systems and probe their behavior. Current projects include studies of nonequilibrium quantum dynamics, quasiperiodic quantum systems, and topologically nontrivial materials. These are real physical experiments, not calculations, so much of the group's time is spent building and using lasers, ultra-high-vacuum chambers, high-current electromagnets, optical systems, and electronics. The Weld group is producing cold atoms, and they expect quantum degenerate samples in 2015. Experiments on nonequilibrium phenomena and quasiperiodic systems will begin immediately once quantum degenerate samples are available. Such experiments should produce important results within a year from their start date. Dr. Weld's childhood love of building blocks led inexorably to a career as a physicist, and the ability to build things with larger and fancier blocks. As Dr. Weld puts it, "The idea of building a perfectly controlled microscopic quantum system from the ground up has always been irresistible to me, as has our goal of gaining a better understanding of the quantum properties of matter." The Weld group uses the tools of experimental atomic physics to attack problems relevant to the many-body quantum mechanics of condensed matter. In 2012, Dr. Weld received a Young Investigator award from the US Air Force Office of Scientific Research. In 2013, Dr. Weld received an Alfred P. Sloan Foundation Fellowship and a Hellman Family Faculty Fellowship. 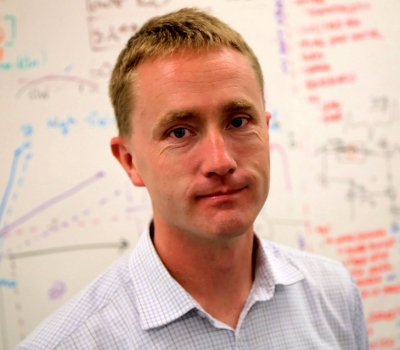 In 2014, Dr. Weld was awarded the Presidential Early Career Award for Scientists and Engineers (PECASE). This award is the highest honor the nation can bestow on a scientist or engineer at the beginning of his or her career. The award included a trip to the White House to meet President Obama (who called Dr. Weld a nerd). UCSB professors Weld and Krechetnikov travel to the white house to receive the Presidential Early Career Award. 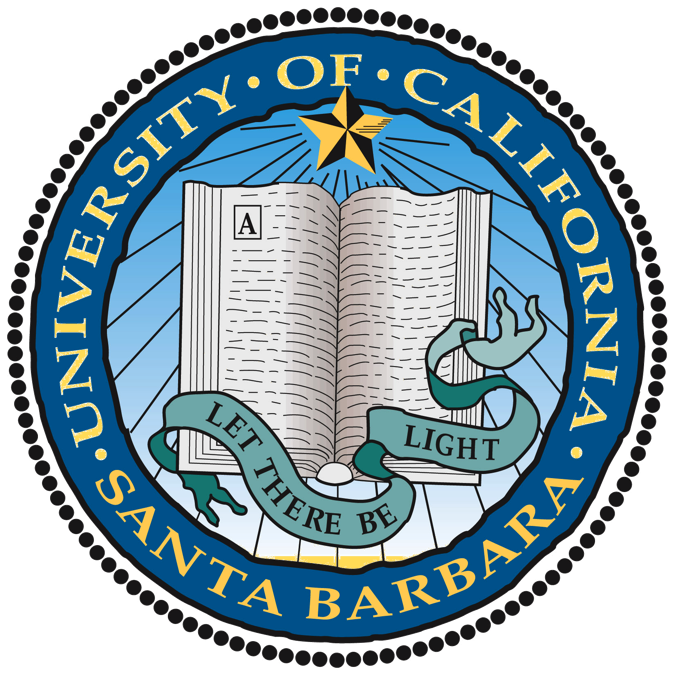 Air Force Office of Scientific Research funds the development of an ultracold strontium apparatus at UCSB. A team of physicists at five UC campuses, led by UCSB’s David Weld, has been awarded $300,000 to establish the California Center for Quantum Emulation.